In the UK around this time of year, the chances of falling victim to a norovirus (Winter vomiting bug) are always high, and this year there are projections that as many as 200000 people will contract one. It’s ironic then, that having lived my entire life in Britain without having caught one of these highly unpleasant viruses, that I should come to Japan – a country so concerned about hygiene that people will happily don facemasks in the street – and catch one almost as soon as winter arrives. Happily, now I’m over it, but noroviruses can hit the elderly and the very young hard and so are worth exercising cautious over. I won’t go into too much detail about noroviruses here as frankly, nothing about them is pleasant, but more information, should you desire it, may be found here (English language). No, the reason I’m discussing noroviruses is to give a little advice to people who may not already be familiar with them on how to avoid contracting one. The virus may survive in the environment – that is, outside of a human body – for several days, and as many as a few virus particles entering the body can be enough to make you feel very ill indeed. In fact, even after recovering from a norovirus, a person can still be ‘carrying’ the virus for some time after, and for this reason infected people are advised that they should remain in quarantine and away from public places for at least 48 hours after recovery. With the exception of breathing air in an area near to where the virus has been aerosolised (i.e. 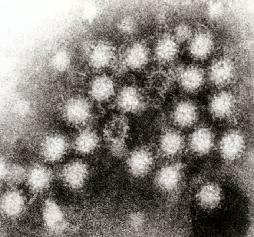 near where someone has vomited), the only way to contract norovirus is by touching an infected area and subsequently transferring the virus particles to your mouth. For example, touching an infected doorknob without gloves on and subsequently having lunch without washing your hands. Places in which the virus spreads easily are mainly confined to places such as schools and hospitals, but the virus may be present anywhere. Simply washing your hands with soap thoroughly before eating and when you arrive home after work could save you a lot of hassle – this is because soapy water kills the virus effectively. For those who are interested, chlorine-based cleaning agents are far more effective at killing noroviruses than are alcohol-based agents. One thing to note, though: please don’t think that every single surface that you touch will be infected with a norovirus as this simply isn’t true. Remember that in 20 years of life in Britain, where far more people catch noroviruses than they do in Japan, I never once became ill and I admit that I was very ignorant about the risks. Only be vigilant – just in case.